Join us for some glittering fun! Sunday, February 17th, after the Service. 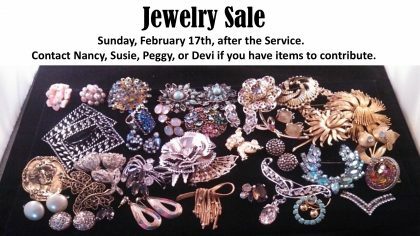 Contact Nancy, Susie, Peggy, or Devi if you have items to contribute.